December 4, 2018: Mumbai, India: Saavn Media Private Limited, a subsidiary of Reliance Industries Limited (“RIL”), today launched JioSaavn, South Asia’s largest streaming, entertainment and artist platform. 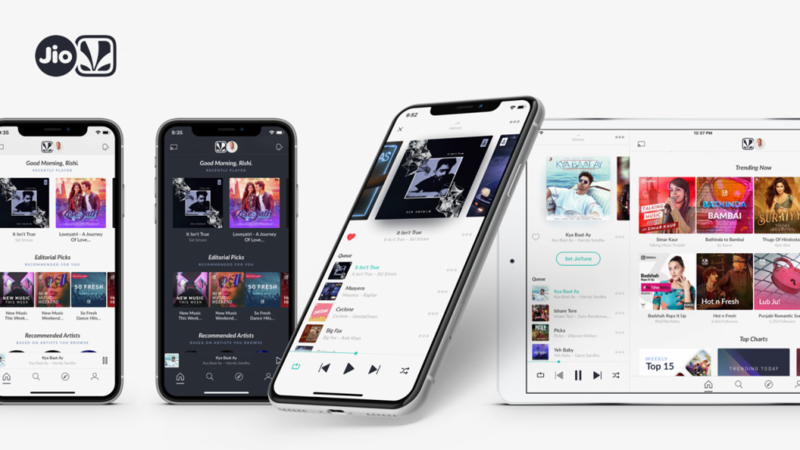 JioSaavn represents the official integration of JioMusic, India’s most popular music app, and Saavn, India’s leading global over-the-top platform. The new integrated JioSaavn app will be available across all App Stores including the Jio app store, on JioPhone, as well as, at www.jio.com/jiosaavn. Reliance Industries Limited (RIL) is India’s largest private sector company, with a consolidated turnover of INR 430,731 crore ($ 66.1 billion), cash profit of INR 56,034 crore ($ 8.6 billion), and net profit of INR 36,075 crore ($ 5.5 billion) for the year ended March 31, 2018. RIL’s activities span across hydrocarbon exploration and production, petroleum refining and marketing, petrochemicals, retail and digital services. RIL is the first private sector company from India to feature in Fortune’s Global 500 list of ‘World’s Largest Corporations’ – currently ranking 148th in terms of revenues, and 99th in terms of profits. The Company stands 83rd in the ’Forbes Global 2000’ rankings for 2018 – the top-most among Indian companies. It ranks amongst LinkedIn’s Top Companies Where India Wants to Work Now (2018). Founded in 2007 as Saavn, JioSaavn is South Asia’s largest digital music streaming service, transforming how people around the world access and experience music on a daily basis. JioSaavn is currently accessed across the globe and offers 45 million tracks in 15 languages. The company has 900+ label partnerships and growing, including Universal, Sony, T-Series, Tips, YRF, Saregama, Eros and Warner Music. In March 2018, Reliance Industries Limited (RIL) acquired a majority stake in JioSaavn, whose investors include Tiger Global Management, Liberty Media, Bertelsmann, Steadview Capital, Ward Ferry Management, Senvest Management, Tree Line Investment Management, Quilvest, Mousse Partners, Wellington Capital Management, William Morris Endeavor and a number of strategic individuals, including former Vodafone CEO, Arun Sarin, and, Guy Oseary, Chairman of Maverick and manager of global artists including Madonna and U2. In 2016, JioSaavn expanded its content offering into Original Programming, a slate of original, non-music audio programs that range from Bollywood to comedy and storytelling to cricket. In early 2017, JioSaavn introduced Artist Originals (AO), an original music program releasing and marketing tracks and albums by South Asian artists, songwriters and producers from around the world. With its headquarters in Mumbai, JioSaavn also has offices in Gurugram, Bengaluru, New York and California. For more information, visit www.jio.com/jiosaavn.